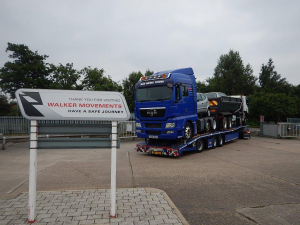 In order to get these vehicles to their happy owners in both Botswana and Zimbabwe, we prepared a low loader with a tractor unit, tipper and two cars, and delivered them to Sheerness port ready for their onward shipment to Walvis Bay, Namibia. 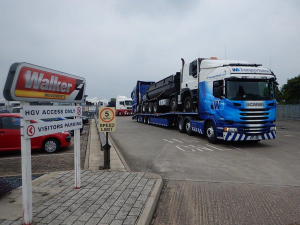 Our low loader service has capacity for either a rigid truck and tractor unit or 2-3 tractors units. 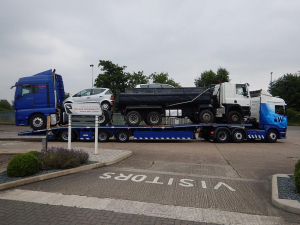 As you'll see from the images, additional cars aren't a problem either. 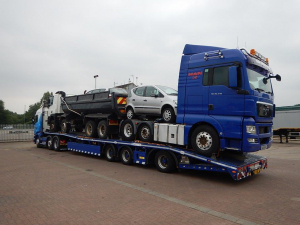 We can also deliver vehicles to port on kicker trailers, which can hold a similar load. 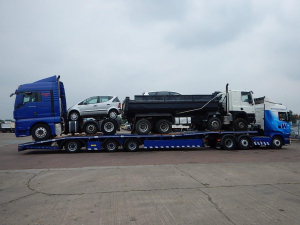 Even if a customer purchases multiple trailers for export, depending on the height we can stack trailers on a low loader. 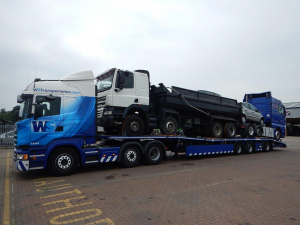 The options are limitless and we can offer this service for a very competitive fee.